The Punjab and Haryana High Court today ordered the DGP, Punjab, to appear in court in person on February 21 to apprise about the prospects of peaceful conduct of polling for the Beas constituency earlier than the scheduled date of March 11. It may sound strange but just hours before the polling in Punjab was to commence, the Punjab Government, fearing “large-scale” purchase of voters identity cards, had requested to the Election Commission to allow people of the state to vote without the voters’ ID cards. In a corruption case involving Mr Parkash Singh Badal, SAD Chief, and others, defence counsels today concluded their arguments against the framing of charges Sub-Inspector Nirabhjit Singh, one of co-accused, before Special Court Judge G.S Saran. The defence counsels also partially argued for another co-accused G.S Garewal. The Station Superintendent, Attari, Mr S.K. Madan, and his Wagah counterpart , Mr Aslam, have been in touch with each other through magneto phone since 3 am. A worried Aslam keeps collecting information on casualties. Certain policemen of Tarn Taran district allegedly kidnapped Mr Dev Singh (55) from Bhullar Bet village under the Dhilwan police division in Kapurthala district on gunpoint here today. The BSNL today rang in a new scheme for enabling its subscribers within the Punjab circle to call each other up on landline and WLL telephones absolutely free. Differing with the BJP, its ally - the SAD - has decided to stand by the Uttar Pradesh Chief Minister, Mr Mulayam Singh Yadav. Taking a strong stance in his support, the SAD president, Mr Parkash Singh Badal, today steadfastly opposed the move of the UPA government to dismiss the UP Government by what he described “misusing Article 356 of the Constitution”. Members of the Mini Bus Operators Workers Union today gheraoed the offices of the Deputy Commissioner (DC) and the District Transport Office (DTC) allegedly for misbehaving and maltreating bus operators during recently concluded elections. They alleged their dues relating to the election, were also not being paid to them. Sanjeev Sood, an accused of attempt to murder case has been spending nights mostly at his house in connivance with Jail and Civil Hospital doctors. The National Vice President of the CITU and a member of the CPI(M) state Secretariat, Mr Raghunath Singh, said on the call of CPI(M), bandh would be observed in the district headquarters in the state on February 27 to show protest against the price hike of basic commodities. The Punjab and Haryana High Court today issued a notice for April 30 to the Centre on a plea in connection with the French Government decision to place restriction on wearing turban by Sikh students in schools. The district police authorities have placed Mr Ashok Mohan, Station House Officer (SHO), police station, sadar, Patiala, under suspension after he was accused of making attempts to collect money from some heads of police posts in the shape of fund during the recently held Assembly poll. The police seized more than 300 bottles of whisky from a smuggler who entered Sriganganagar from Abohar area last evening. Country made foreign liquor continues to be smuggled from Chandigarh and Abohar through the interstate border for supply to outlets in Rajasthan and Gujarat regions. The Punjab Government will chargesheet the former SSP of Mohali for committing an act “unbecoming” of a police official during the run-up to the elections in the state. The charge sheet has been sent to the Election Commission for approval before the Punjab Government issues the order, well-placed sources confirmed tonight. The police arrested six persons, Jagtar Chand, Amandeep Singh, Som Dutt, Paras Ram and Panam, residents of Rorian village, and Anil Bagha of Bhawani Nagar in Hoshiarpur, president of the Dr Ambedkar Youth Club, this evening for their alleged involvement in the vandalism at the Shiv temple in Rorian on the eve of Mahashivratri. A youth was found dead on the rail track near Katarsinghwala village today. The youth, who was wearing a shirt and jeans, was identified as 21-year-old Hargobind Singh, a resident of Muktsar. Baba Aya Singh Riarki College located in the remote Tuglakabad village of the district can easily be termed as Shantiniketan of Punjab. 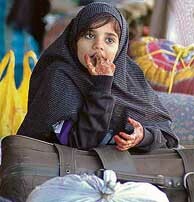 The only difference is that girls from poor families living in the rural areas study here. However, the campus spread over 15 acre is running without teachers. 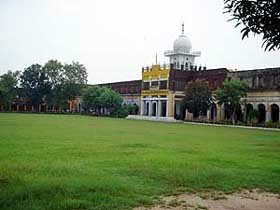 The campus of Baba Aya Singh Riarki College in Gurdaspur. "It is necessary to recognise people who call upon the name of religion while behaving in a way that is contrary to the teachings of that faith." These views were expressed in an exclusive interview with TNS by Dr (Ms) Joy Barrow, Director of the International Interfaith Centre, Oxford, UK, who was here in the city to deliver her key note address on the opening day of the seminar on 'Towards Building Peaceful; Society : Use of Religion' held at the Senate hall of Punjabi University.